Social media is constantly evolving, and marketers have to learn quickly to keep up with the pace of change. Instead of publishing just text posts, marketers nowadays are creating images and videos, posting Instagram Stories, and going live on Facebook. But where can we find the latest and most relevant resources for learning new things about social media and marketing? We’d love to share some of our favorite social media and marketing resources. They include online classes, communities, podcasts, evergreen articles, and more. There’s likely one (or hopefully a few) that suits your learning style. We’re excited to launch our very first online social media strategy class this week. This class, taught by our Digital Marketing Strategist, Brian Peters, covers everything from creating and curating content to setting up a simple Facebook ads strategy. 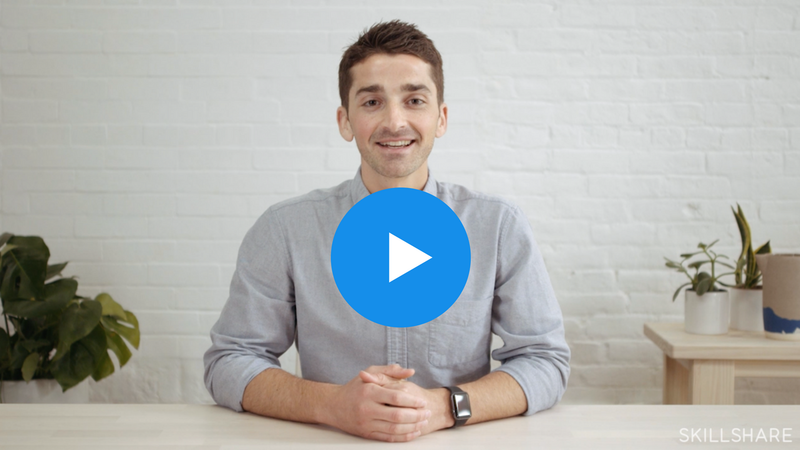 The class is free for all Buffer customers for the next 28 days. After that, you can access the class as part of Skillshare’s library. As part of the launch, we’d love to offer our Buffer users and community members two free months of Skillshare Premium, giving you full access to our social media class and thousands of other classes. There are so many great articles about social media marketing on the Internet. 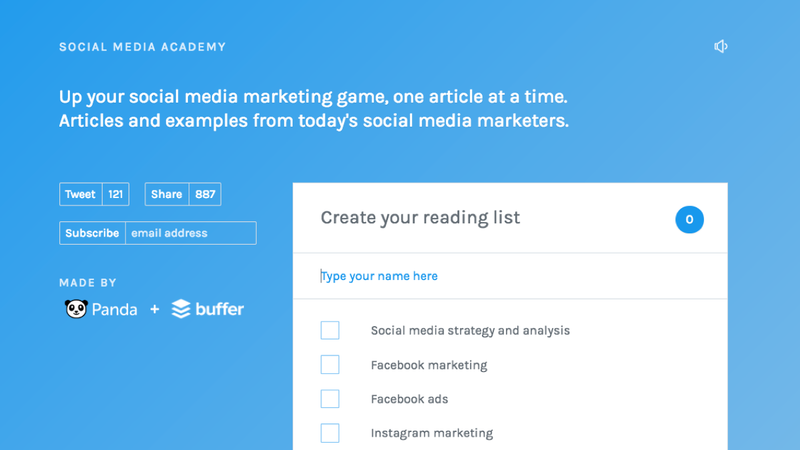 To help you save time, we curated some of the best articles into Social Media Academy where you can create your personal reading list from nine different social media topics. Simply select your favorite topics and start reading! 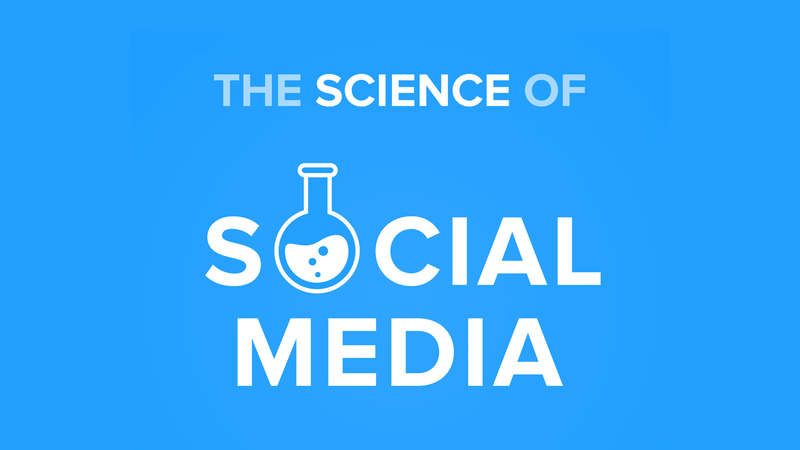 There are now more than 40 episodes of our The Science of Social Media podcast! We’re grateful to be able to interview amazing marketers such as John Yembrick from NASA, Clair Byrd from Twilio, Michael Stelzner from Social Media Examiner, and more. If you like listening to podcasts, we’d love for you to give our podcast a listen. Twice a week at 4 PM AEDT and 9 AM PST, we host our Twitter chat, #bufferchat, where we discuss social media, marketing, and future of work with our community. 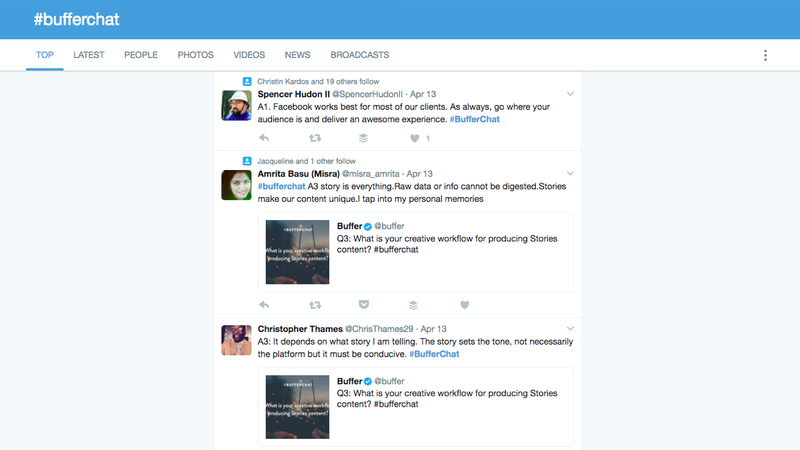 To join in, simply follow the hashtag, #bufferchat, on Twitter at the respective times and tweet your answer with the hashtag. 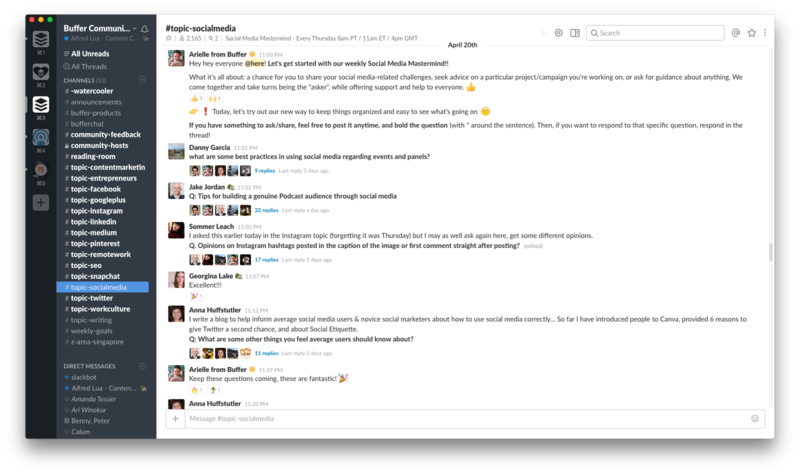 We’re glad to bring together more than 2,800 marketers, entrepreneurs, and enthusiasts who are interested in social media, in our Slack community. Here, you can discuss the latest social media trends, ask for advice, attend mastermind sessions, and connect with like-minded people. We’d love to have you in the community! Content curation is one of the best ways to establish your authority on social media. But curating great content can be a challenge, especially if social media is just part of your role. 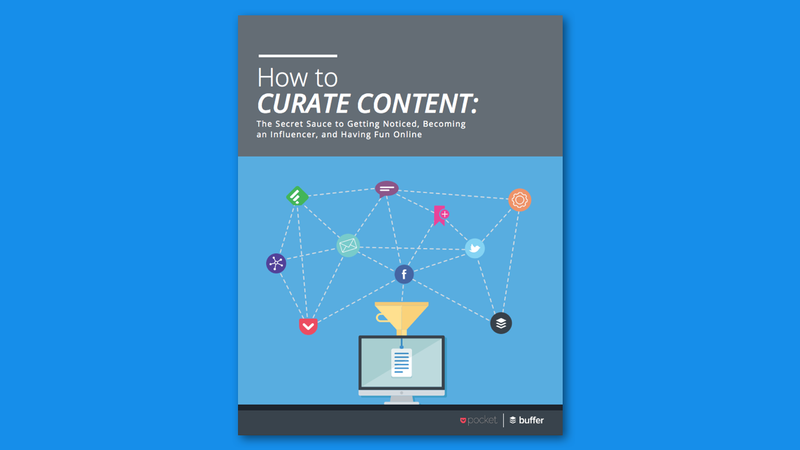 To help you build an effective content curation strategy, we wrote an e-book on everything we know about curating the best content quickly. 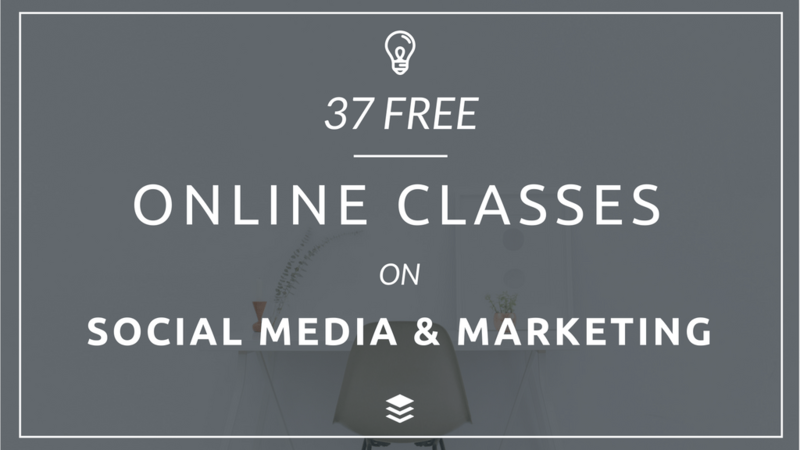 From social media marketing to data and analysis, to content creation, to marketing design, here’s a big list of free online classes you can sign up for to improve your marketing skills today. If the online classes above aren’t enough for you and you’re craving for more learning resources (you’re amazing! 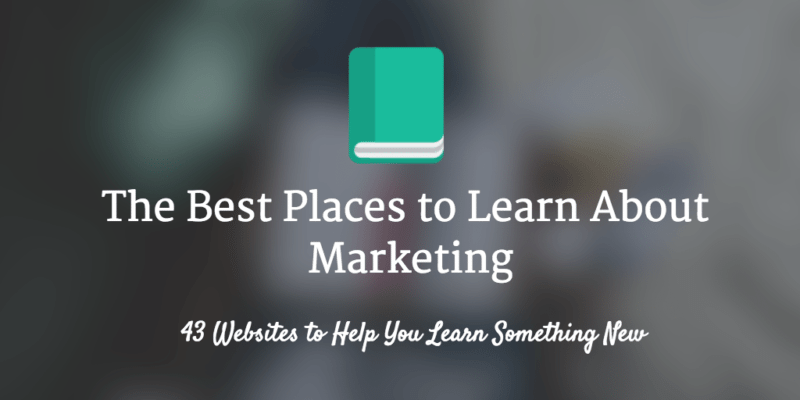 ), here’re 43 more websites for you to learn about almost anything marketing-related. Kevan Lee, our Director of Marketing, taught himself content marketing and web writing. 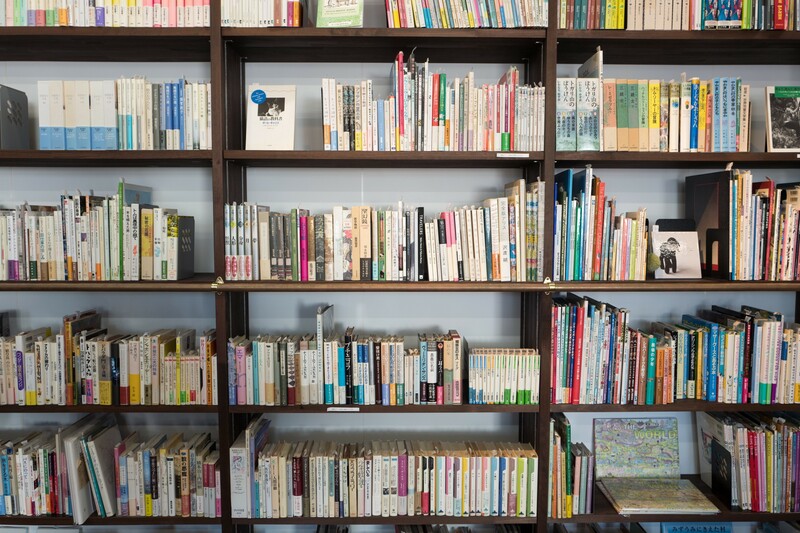 In this post, he shared everything he has starred and saved over the last few years — the top articles on web writing, content marketing, writing productivity, and more. 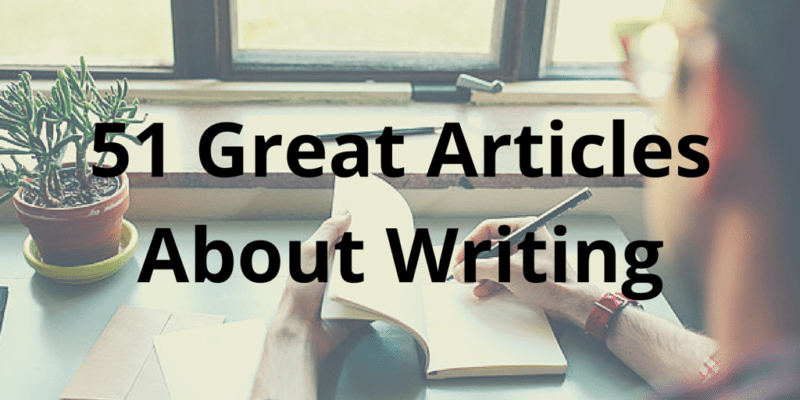 Here’s a collection of some of our favorite, evergreen articles. 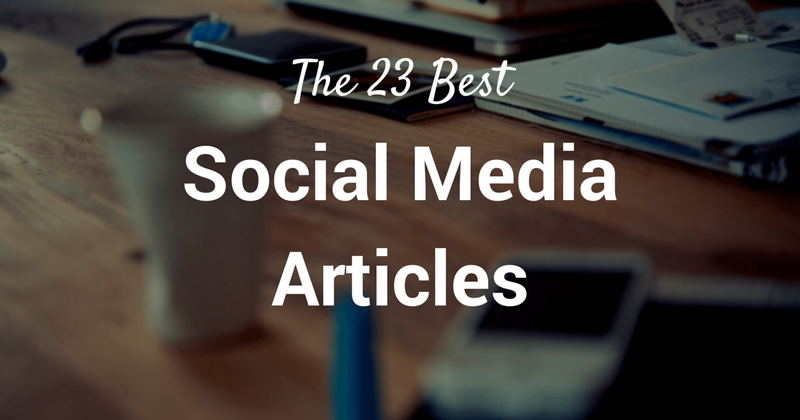 There’re articles on social media strategy, copywriting, blogging, growth, and more. While many of the articles were written a while back, most insights are still relevant today. Where do you learn more about social media? We’re grateful for all the amazing resources on the Internet, and glad that we have been able to contribute a little to the ever-growing list of resources. I’d love to learn about your favorite resources. What’s your favorite place for learning more about social media and marketing, and why?